I have an extremely exciting post for you all today, firstly I'm reviewing the NARS Radiant Cream Compact Foundation* in the shade Fiji and secondly I have 2 more of the NARS Foundations to give away to you beauties thanks to the amazing Cosme-De website. If you haven't heard of Cosme-De before it's basically a beauty lovers dream ha ha, it is an online shopping site that sells all things beauty, skincare, fragrance, haircare plus much more, they stock brands such as Benefit, Bioderma, Clinque, Bobbi Brown, YSL, Estee Lauder and that's just to name a few so theres certainly plenty of choice on the website. Cosme-De are based in Hong Kong but ship worldwide for FREE on every order (whoop), they're website is very clear and easy to use and all you have to do to get your preferred currency is scroll at the bottom of the website and click the little drop down box to choose, simple! Anywhooo onto the foundation review... 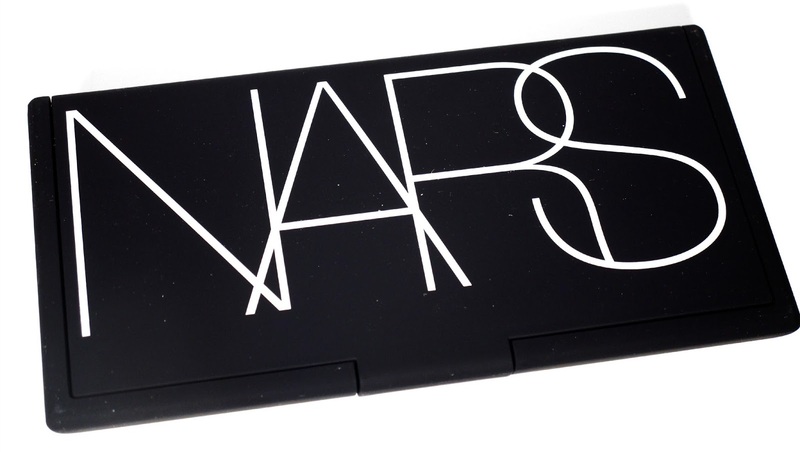 The NARS Radiant Cream Compact Foundation comes in two parts, firstly in one box you get a medium sized palette which has a hollow well for a foundation compact to slot into and theres also a little slot for a makeup sponge, the compact has a sizable mirror within the lid too for easy on the go application and has that classic NARS rubberised texture. 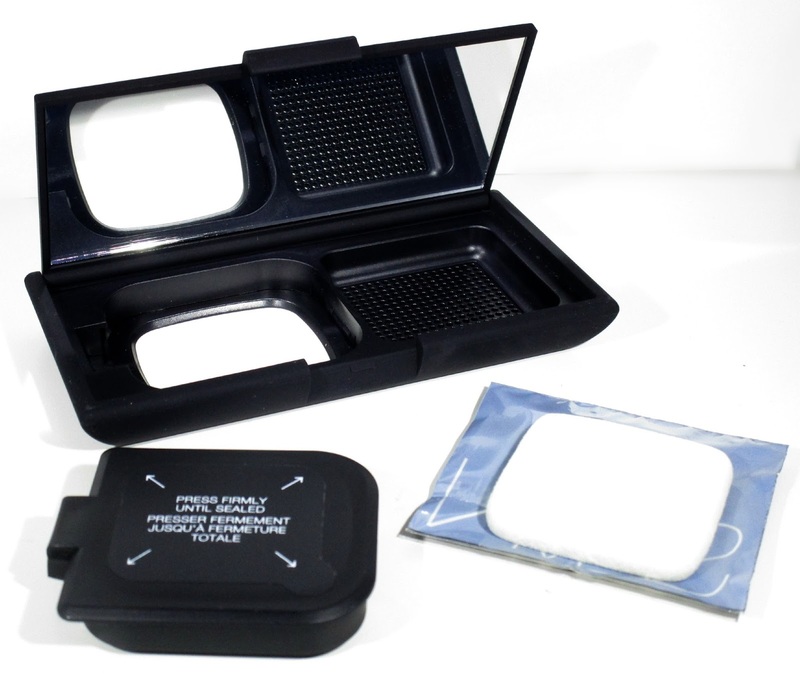 The second part of the compact is the foundation itself and the sponge, these two come in a separate box and just slot into the empty wells within the palette, usually you would have to buy these separately but Cosme-De sell them together for £38.00. 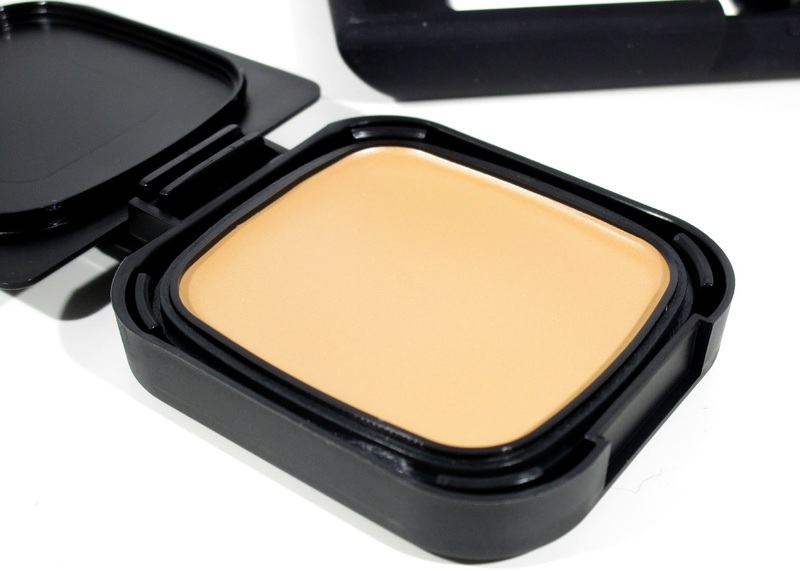 Cosme-De currently have 7 shades of the Radiant Cream Compact Foundation to choose from, I've been road testing the shade Fiji which is described as light with golden peachy undertone, in my pictures is does look slightly dark for some reason but it is actually a very good match for me. At first glance I thought the NARS Radiant Cream Compact Foundation would be quite hard to work with being that it looked so solid and compact however... On instant contact with my finger the foundation appeared to 'melt' and was so creamy which I wasn't expecting at all, it honestly feels so silky and is a joy to work with. The way I like to apply the Radiant Cream Foundation is by warming it up on my fingers and then dotting it around my face and either using a buffing brush or beauty blender to blend the foundation in, those techniques work amazingly and leave you with a lightweight, dewy, luminous finish. As for the foundations coverage... 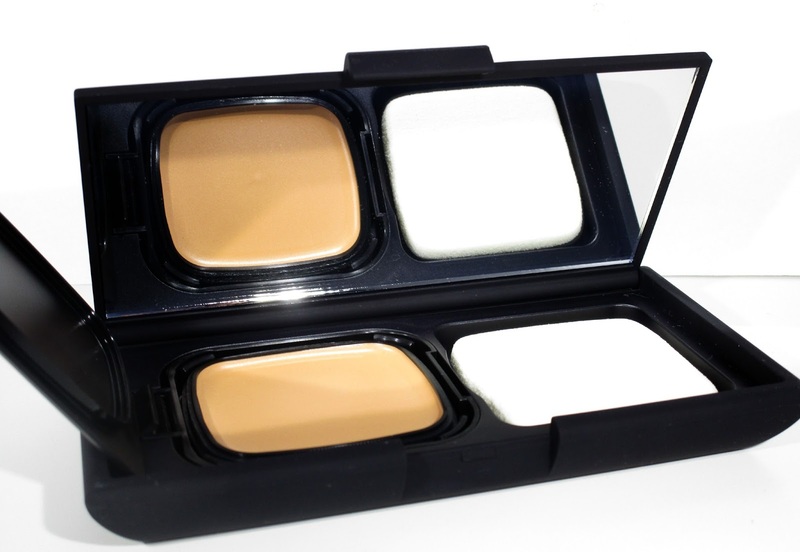 It's definitely has a medium but buildable coverage that doesn't feel cakey or heavy at all. I'd say this foundation would most suit someone with dryer skin like myself because it's very moisturising and claims to boost your moisture levels by 80% after 12 hours wear, helping to reduce the appearance of fine lines and wrinkles and enhancing your skin's radiance. As for lasting power... it actually held up amazingly well! I always apply my makeup quite early in the mornings and then remove just before I go to bed, generally as I'm about to remove my makeup that I've had on all day I can always see slight imperfections in my base makeup and sometimes it can become slightly patchy and definitely looks like it needs a touch up however... 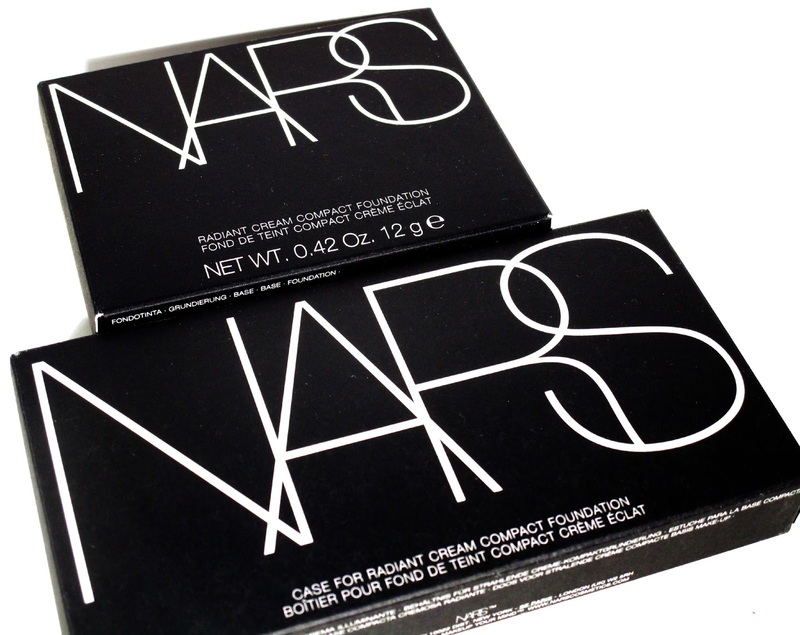 The NARS Radiant Cream Compact Foundation still looks perfect and still has that beautiful, natural looking glow to it! Overall I absolutely love this foundation, if your looking for a foundation that has a good amount of coverage that's buildable, lightweight, adds sutble radiance to the skin, that doesn't cling to any dry pacthes or emphasise them further then I'd highly suggest trying out the NARS Radiant Cream Compact Foundation, it's an absolute beauty in my opinion and I've gotten on with it great! To co inside with my NARS Radiant Cream Compact Foundation review, Cosme-De have kindly sent me another two Radiant Cream Compact Foundation's both in the shade Fiji for me to giveaway to two of my lovely blog followers... How exciting!!! The giveaway will be open for 2 weeks, all you have to do to enter is complete the mandatory steps within the Rafflecopter form below. 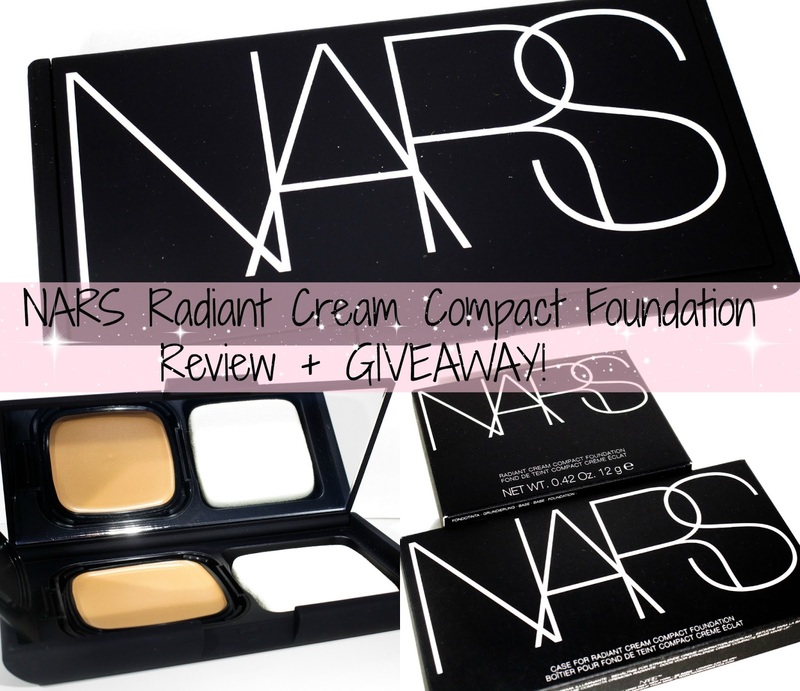 -There will be two winners of this competition each winning ONE NARS Radiant Cream Compact Foundation. - The winner will be emailed and announced on Twitter. The winner will have 7 days to claim their prize. If I do not hear from the winner/winners within this time frame a new winner/winners will be picked. If the winner has not entered all of the mandatory entries they have claimed to, all of their entries will be discounted and a new winner will be picked. This website sounds really cool, I'll definitely head over and check it out now! The foundation itself also looks really interesting, I'd really like to try one by NARS, time to bite the bullet! Oh never heard of this website before but it looks lovely! My favourite thing ive seen on there s the Burts Bees tinted lip balm! I love Burts Bees but didnt know they had this product so it looks great! I've never heard of this website before, it has so many great products. great giveaway; thankyou. My favourite product is the Chloe Love Story Eau De Parfum. Ive always wanted the Laura Mercier Loose Setting Powder. Awesome giveaway, ive always wanted to do one. OPI Passport to Color Collection. The shiseido lipsticks look fab! Thank you for such a lovely giveaway! I'd never even heard of this company before but Im so excited that they stock Bioderma!